It’s a common knowledge that people involved in motorcycle accidents are prone to more complications from injuries than their car accident victims. It’s also common knowledge that car drivers cause the majority of motorcycle accidents. 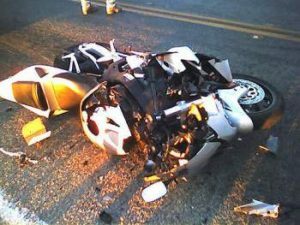 For road users in Downey who got injured in a motorcycle accident, it’s recommended that you seek out a top-notch motorcycle accident attorney in Downey who is willing to take up your case and fight for your cause. Rawa Law Group is one of such firms with remarkable attorneys for hire.Our vast experience of over 50 years when combined indicates that we have some of the most talented legal minds in California and indeed the country as a whole. We have some of the most revered personal injury lawyers with a track record of delivering on promises to clients. We have so far helped recover hundreds of millions for our different clients. At Rawa Law Group, our flexible hours of appointments are tailored for you, so you have convenient hours to visit our offices or schedule your free case evaluation which can be performed at your home or hospital if you prefer. If you need a motorcycle accident attorney in Downey, CA who is relentless, tireless and have a strong advocacy for the injured, then you can rely on Rawa Law Group attorneys to do justice to your case. All Downey claimants who are looking to move past their horrible bike crash and begin a new chapter of their life with a decent compensation for their previous experience would need to hire one of our motorcycle accident attorneys. Let us help you today, reach out to us using the details below.